X-Small, Bottoms, Black - SHIPS FREE! X-Small, Top, Black - SHIPS FREE! 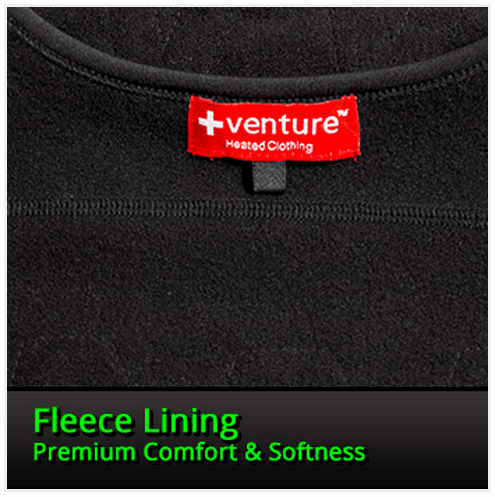 Electric Heated Base Layer by Venture Heat is designed for men to provide maximum thermal protection and help to promote blood circulation. These Heated Base Layers come in both tops and bottoms, but are sold separately. 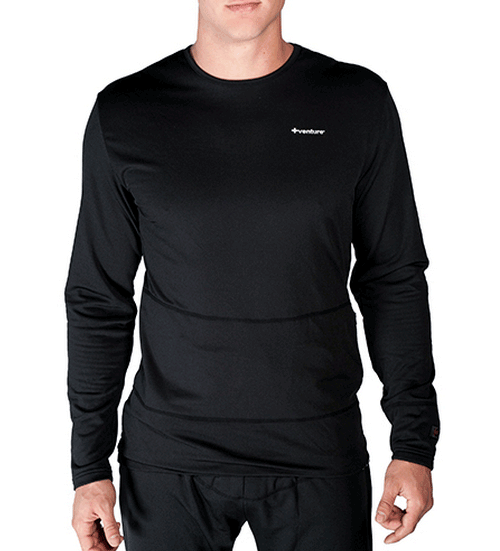 Men's Heat Base Layer is black in color and is constructed with a synthetic blend of polyester Spandex. 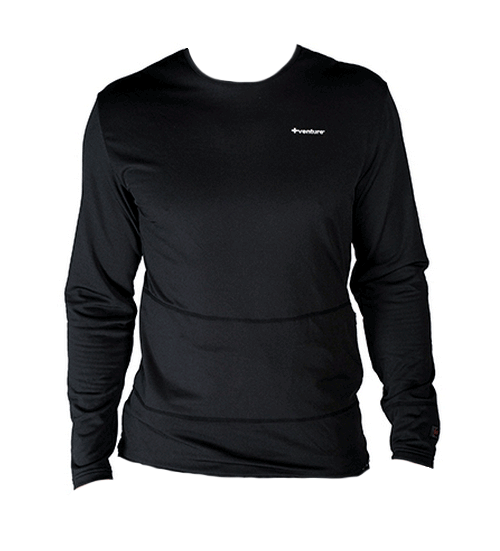 This Battery Powered Electric Heated Base Layer provides excellent moisture management to keep you warm and dry. Moisture is wicked away from your skin by the blend of synthetic fibers. This lightweight Heated Base Layer weighs less than 1.5 pounds with the battery. 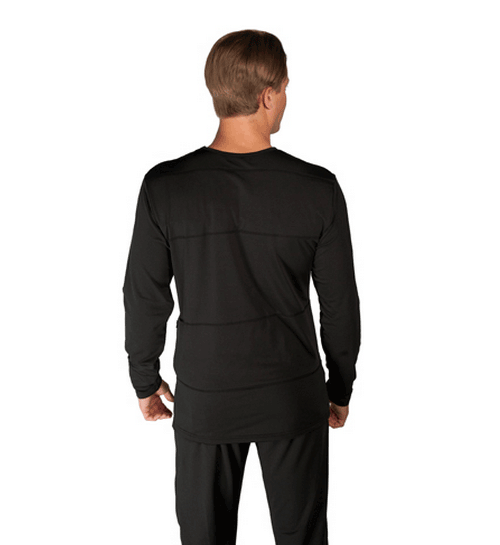 This Electric Heated Base Layer provides greater flexibility and mobility for people who wear it. 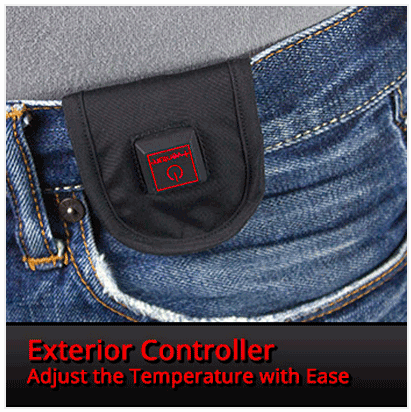 An embedded controller allows you to adjust the Battery Powered Electric Heated Base Layer with three different heat settings to meet your changing needs. 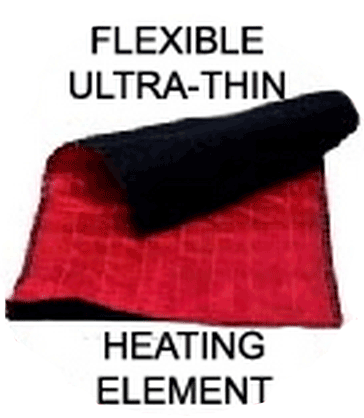 The Tri-Zone heating elements are thin and flexible and positioned to keep your body core warm. One of the heaters is located on the abdomen, one heater is located on the chest and the other heater is on the lower back. 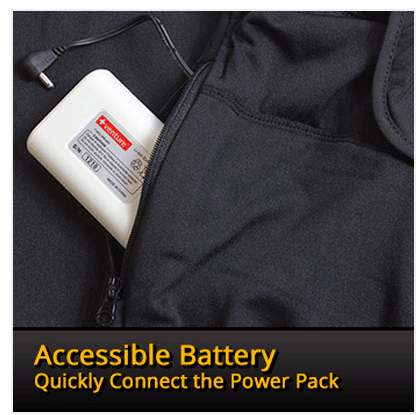 The Battery Powered Electric Heated Base Layer is powered by a powerful lithium-ion battery that is rechargeable. This thin powerful battery can operate for up to five hours before requiring a recharge. 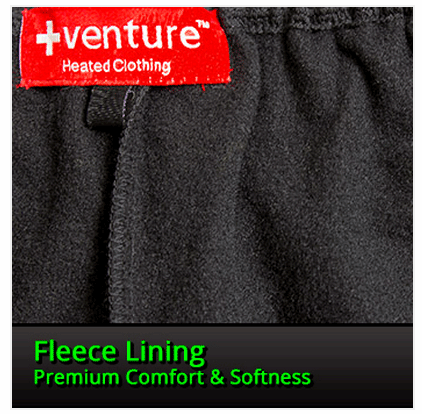 Venture Heat Battery Heated Base Layers are light and comfortable without restricting heating coils to impede your mobility. 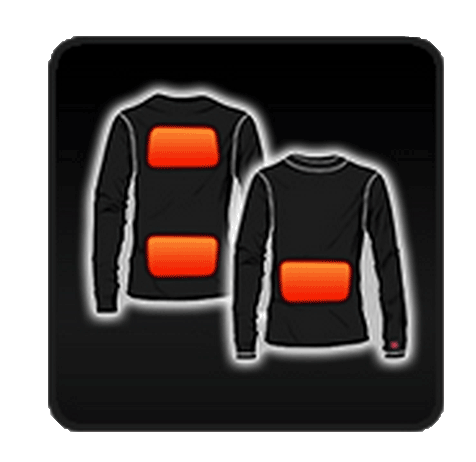 The heating elements of this Battery Powered Electric Heated Base Layer use thin, micro fibers that are highly flexible, allowing you maximum mobility. 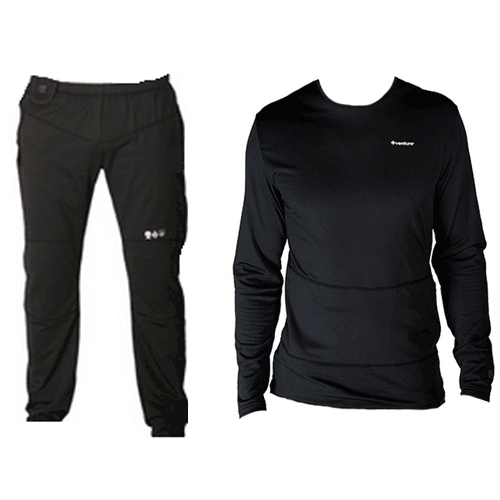 Heated Base Layer (Top or Bottom, each sold separately). Lightweight electric heated base layer keeps you both warm and dry. Micro-fiber heating elements that are thin and will not impede you mobility. 3 heat settings to meet your individual needs. Embedded temperature control on left sleeve. Size Options: X-Small, Small, Medium, Large, X-Large. Weight: less than 1.5 pounds including battery charger. Low Setting (Green): 5 hours. Medium Setting (Yellow): 4.5 hours. High Setting (Red): 2 hours. 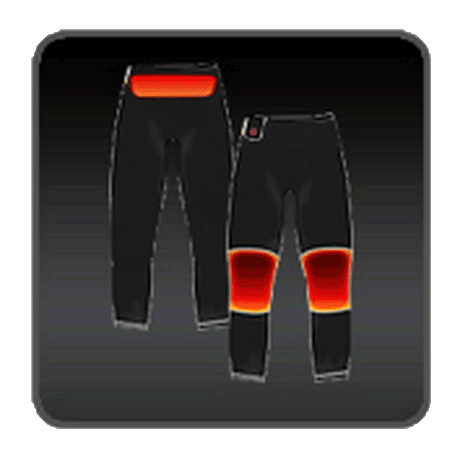 Battery Heated Clothing: 12 months. 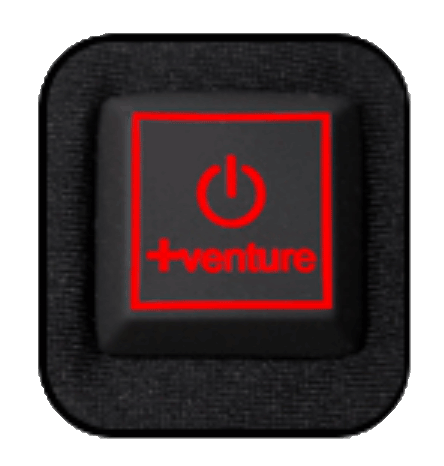 Venture Heat Heated Base Layer with Battery Powered Electric Heat Product Numbers: BH-9229-XS, BH-9229-S, BH-9229-M, BH-9229-L, BH-9229-XL, BH-9112-XS, BH-9112-S, BH-9112-M, BH-9112-L, BH-9112-XL. This heated base layer is super warm and comfortable. The rechargeable battery is also a great feature.